This is an ongoing project that helps us get basic supplies for the homeless. For $30, we hand out sturdy backpacks filled with water, hats, gloves, socks, first aid, flashlights, and so much more. What started as filling brown paper bags stuffed with sandwiches in our living room in 2014, quickly transformed to taking 200 backpacks in 2015 and 1000 backpacks in 2016. Each bag was filled with clothing, blankets, food, and other essentials. Our annual trip makes a huge impact in a major city and continues to grow every year. 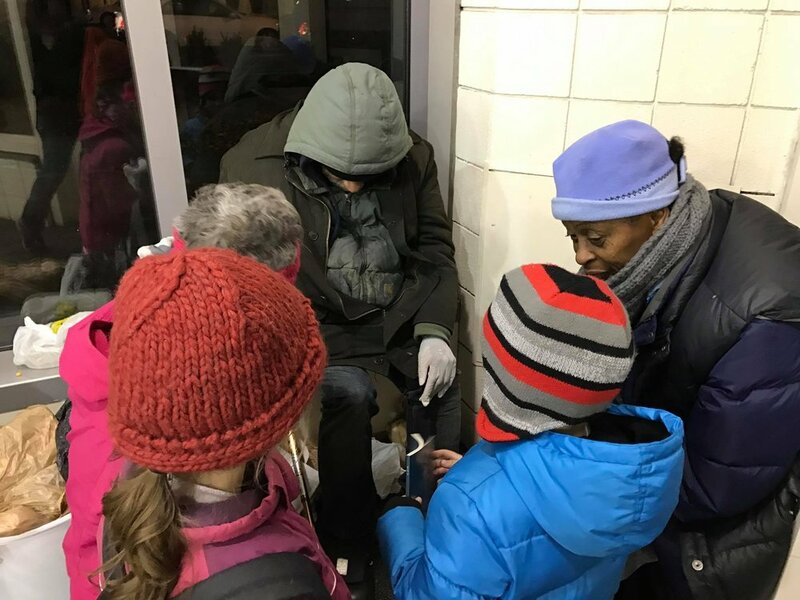 We visit the homeless in our own community in Central Maine to bring food, supplies, and joy to their lives. We sit, talk, and pray with them for as long as they will allow. Our goal is to show that Love Knows Your Name to every single person we meet.